Today, you and your family can make your own history with a great getaway vacation where horizons stretch out seemingly to infinity! 100 years ago Theodore Roosevelt found his perfect freedom in North Dakota. This vacation, you can too! On I-94. Medora is an Old West resort town at the South Entrance to Theodore Roosevelt National Park. 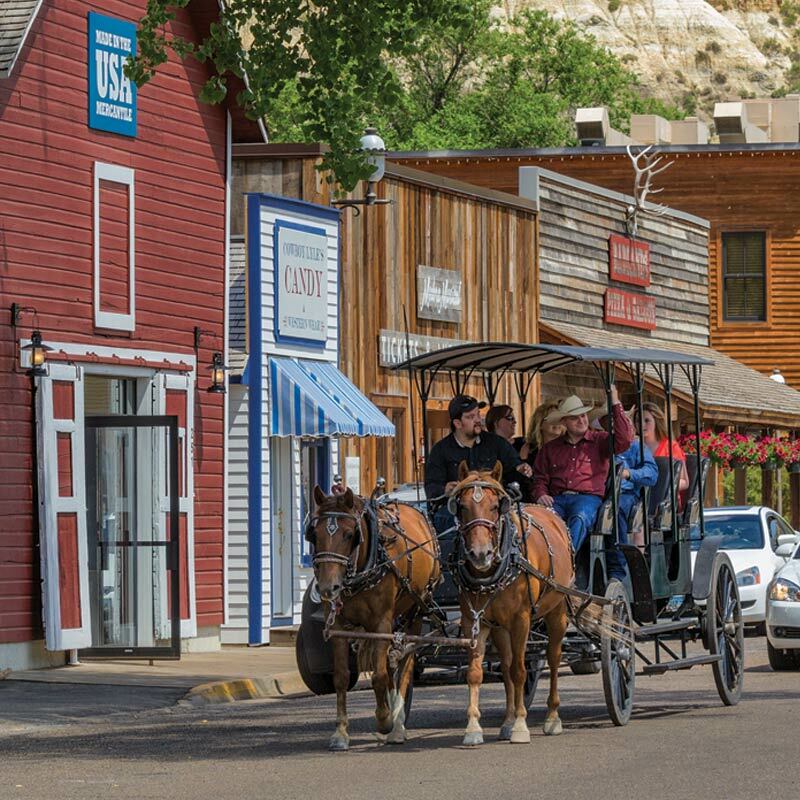 Medora has a variety of lodging facilities including the historic Roughrider Hotel, the AmericInn Hotel and Suites and various B&B facilities. 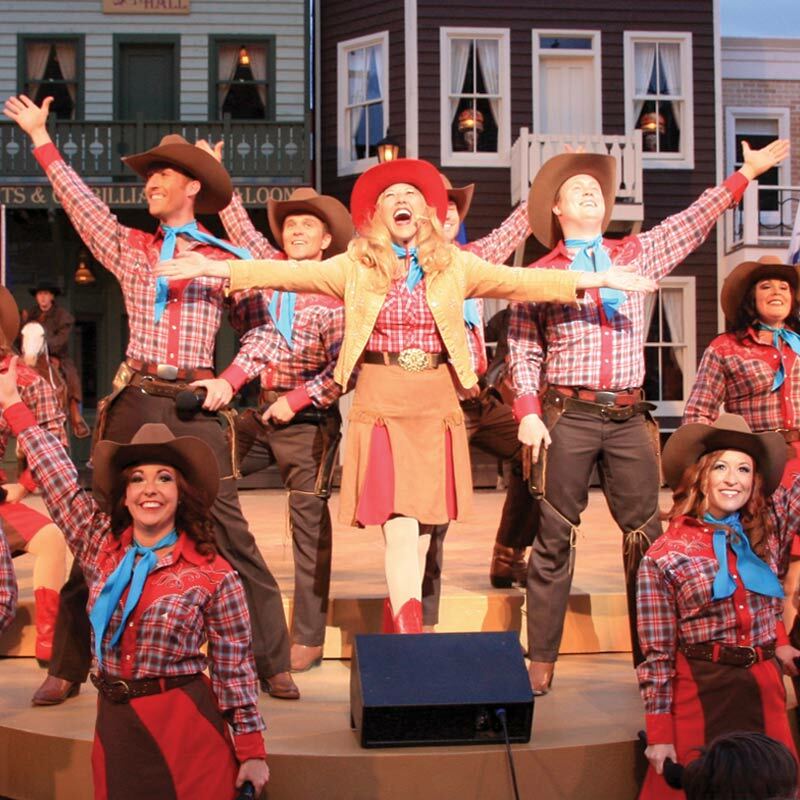 Medora also features historic walking tours, horseback riding, Cedar Canyon Spa, gift emporiums and many dining and snack opportunities. The Painted Canyon Visitor Center is 7 miles east off of I-94 and offers one of the most magnificent views of the Badlands. “I heartily enjoy this life with its perfect freedom. 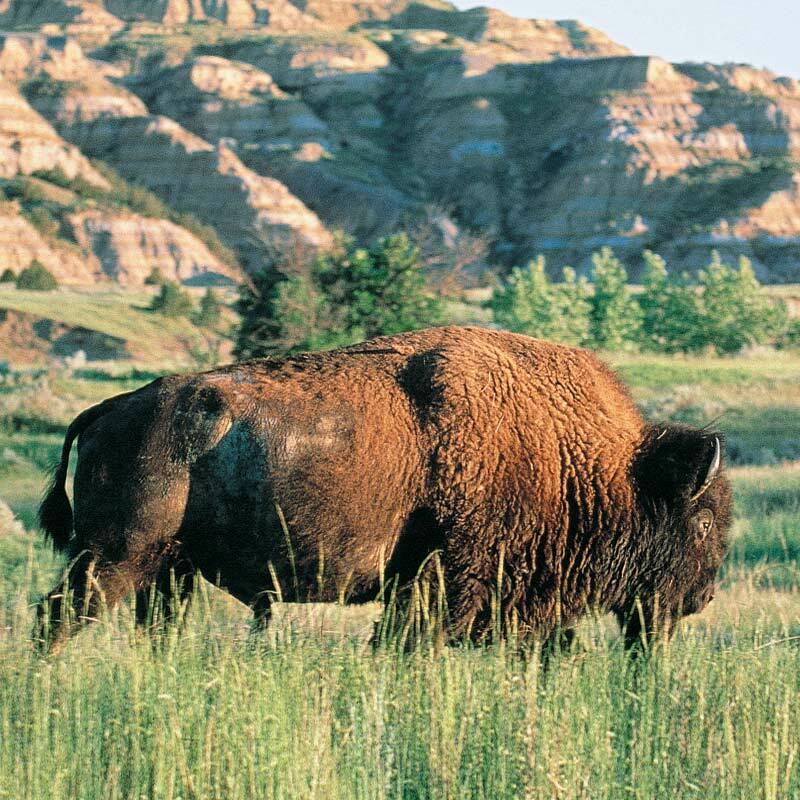 The popular South Unit off of I-94 at Medora offers a more wide-open view of free-ranging bison herds, antelope and prairie dog towns. A scenic loop tour leads visitors to an array of fantastic views. Trail rides on horseback can take it all in while viewing bison along scenic views of the winding Little Missouri River. The Maah Daah Hey Trail connects hikers and bikers with the Theodore Roosevelt Elkhorn Ranch. The ranch is also accessi-ble off of US 85 heading west from Fairfield over a gravel road suitable for RVs. 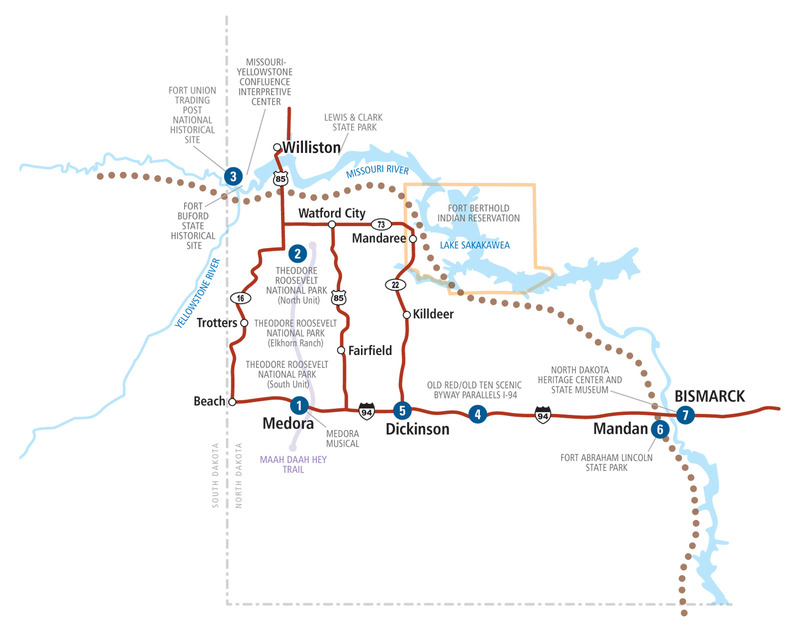 Visitors can journey off of the Lewis and Clark Trail south from Williston on US 85 to Watford City which connects with the North Unit of Theodore Roosevelt National Park, known for its fantastic multi-colored buttes, deep forests, and rugged canyons. 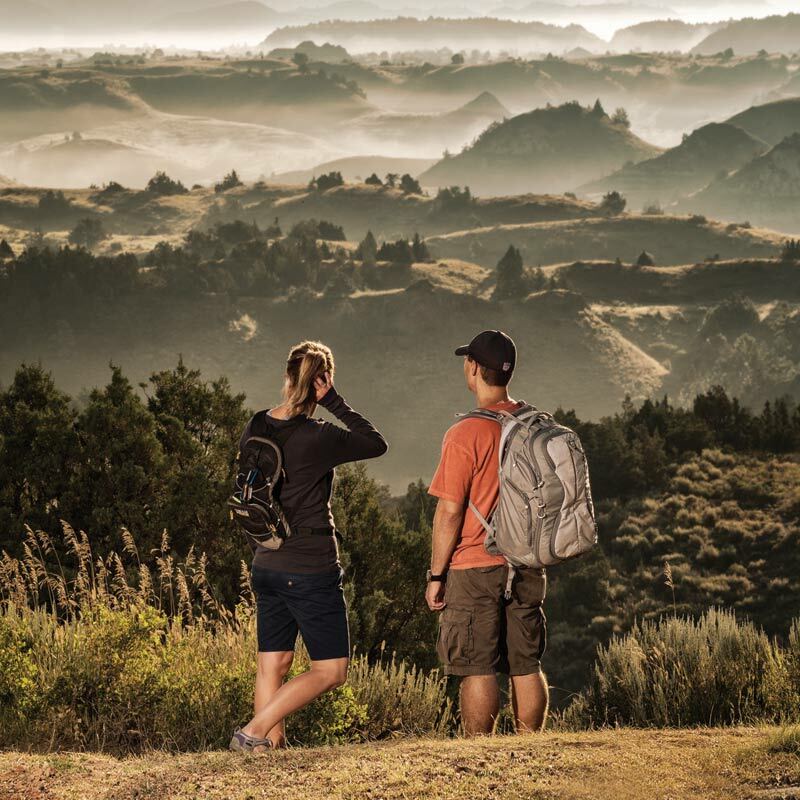 The 14-mile Scenic Byway originating at the Park’s Visitor Center leads to dazzling scenic overlooks, nature trails, and roadside pullouts where visitors can enjoy the rugged beauty of the butte formations. Near Williston on ND 1804 at the North Dakota and Montana border. The Fort Union Trading Post was the principal trading post of the American Fur Company. The restored fort and the nearby Fort Buford State Historical Site and the Missouri-Yellowstone Confluence Interpretive Center bring alive the days of the fur trade near the confluence of the Missouri and Yellowstone Rivers. from Dickinson to Bismarck, parallels I-94 and remembers the easy-going travel days before the Interstate when visitors could take in all the roadside attractions. 34 miles east of the Park on I-94 offers an array of attractions for en route travelers including the Dickinson Museum Center, an 11-acre park with 11 historic buildings and the Joachim Museum. The Dinosaur Museum features 11 life-sized dinosaur skeletons, many excavated in southwest North Dakota. The Ukrainian Cultural Institute is a favorite of many visitors and Patterson Lake Recreation Area is nearby. West of Bismarck and the Missouri River on I-94. Fort Abraham Lincoln State Park includes General George Custer’s quarters, Calvary Square, the Fort McKeen blockhouses, and the On-A-Slant Mandan Indian Village, and is located 7 miles south of Mandan on ND 1806. Additional Mandan attractions include the Raging Rivers Waterpark, Five Nations Arts, and great dining, recreation and entertainment.